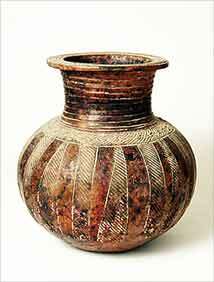 Nigerian village pot - 8¾" (222 mm) high. This is destined to remain in the unidentified section. It is an example of a simple Nigerian village pot bought at a village market.